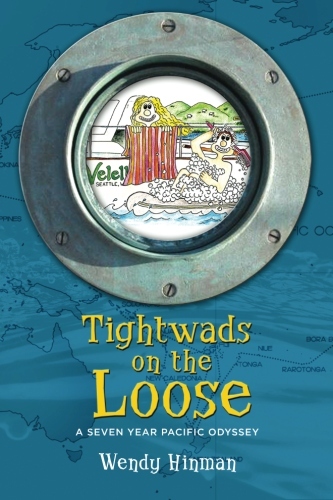 Wendy Hinman relates in her book Tightwads on the Loose the story of her and husband Garth Wilcox’s epic sailing voyage that more than tripled Richard Henry Dana’s Two Years Before the Mast. 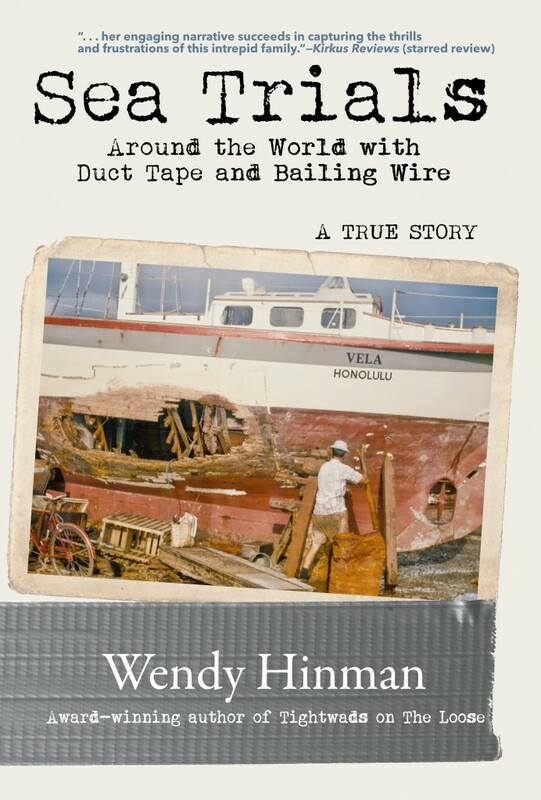 What began as an open-ended voyage on their 31-foot wooden cutter The Velella, turned into a seven-year, 34,000 mile saga, complete with typhoons, close calls with freighters, potential pirates, phantom night vessels, and even a swim in crocodile-infested waters. 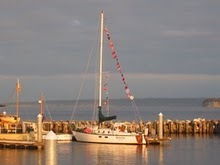 Hinman manages to wring humor from this conjugal saga, which touched on nineteen countries–and a lot of ocean. Copies of her book will be on sale at the event.